Have you heard of a lash lift? 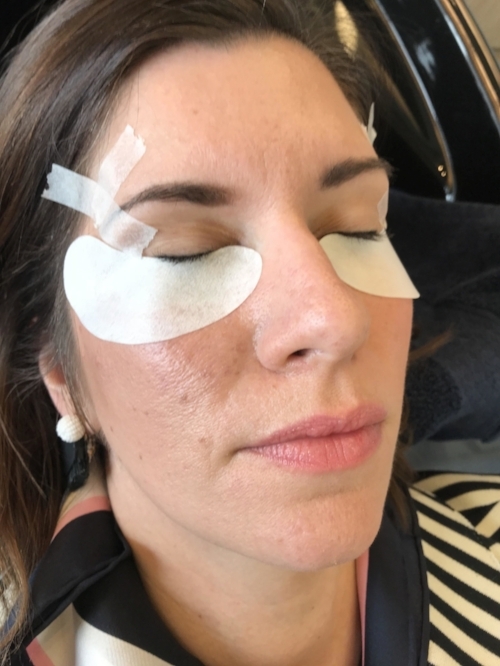 My lovely eyebrow specialist Dana Morgan told me about this new service she is offering and once I saw the before and after photos on Instagram, I knew I had to get this procedure done! I tend to have more oily eyelids and typically get the mascara creep above the lids (you know what I’m talking about?!? ), I love the idea of not having to wear mascara everyday, especially during the summer months. So, what is a lash lift? 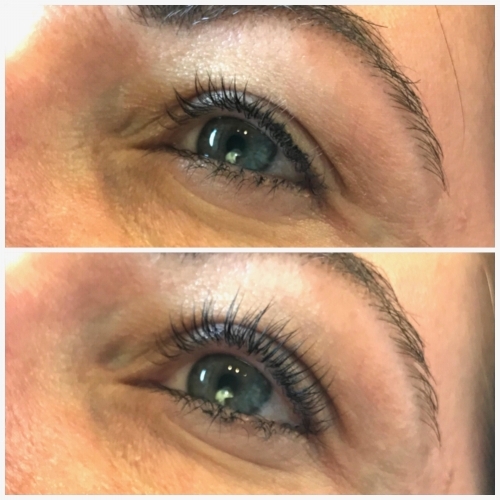 A lash lift is essentially a perm for your lashes, giving you a semi-permanent lift of your lashes making them appear longer without the use (or cost) of eyelash extensions. Since a last lift curls your lashes, you can say goodbye to your lash curler for at least 6 to 8 weeks! You can swim, shower, and play after 24 hours and your lashes will stay lifted for up to 6 to 8 weeks. 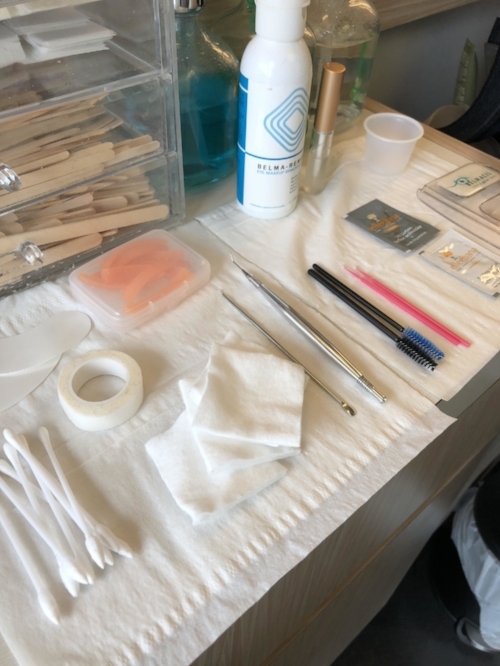 Step 1: When I arrived to my appointment, Dana was all set-up. I appreciated the little details that Dana has which are so important like cleanliness, comfort, and walking me through the steps on what to expect. First, Dana cleansed my lashes to ensure they were completely makeup free. I would recommend arriving to your appointment without any eye makeup. Then, she placed a small barrier on my bottom lashes to separate from my top lashes. Step 2: A silicone bar is placed on the upper lid using a gentle adhesive. The lashes are gently combed, lifted, and placed on the silicone bar. Step 3: Next, the eye-safe perming solution is applied. Dana assured me the solution is completely safe. This part is important to me because I have sensitive eyes from lasik surgery a few years ago. After the perm solution, a setting solution then a nourishing solution is applied. I learned that the solution is still working its magic for up to 24 hours, so it’s really important that you keep your lashes completely dry for at least 24 hours. Step 4: Dana applies a lash tint to finalize the look! To me, this give the illusion of wearing mascara even if your not. The entire appointment took about an hour from start to finish. The service costs $95 and it is totally worth it!! It’s safer for your lashes than extensions and maintenance free. AMAZING! It has been nearly 5 weeks since I had my lash lift, and I’m happy to report that my lashes are still lifted and going strong. An added bonus is that I don’t even feel the need to wear mascara everyday, only for going out or when I want a more polished makeup look. My husband noticed too...he thought I had a makeover but I wasn’t even wearing eye makeup LOL! Not only do I have total trust in Dana for the lash lift, she is my go-to person for brows. I recommend all of my clients to her because she is seriously the BEST at grooming and helping your natural beauty shine through. I thought it would be fun to share a little bit about Dana, her business and because I love supporting local businesses! I have 19+ years in the beauty industry with extensive training from Laura Mercier, Anastasia Beverly Hills and most recently Benefit Cosmetics just to name a few. I believe makeup should bring out ones inner and natural beauty. My clients! Each client inspires me in his/her own way. Every person is different, every brow is different. I love to help my clients fall in love with their brows. It’s a journey we take together. I always take the time at the start of a service to discuss the client’s needs and desires. I don’t just do your brows and send you out the door, but strive to give you a truly personal and comfortable experience. 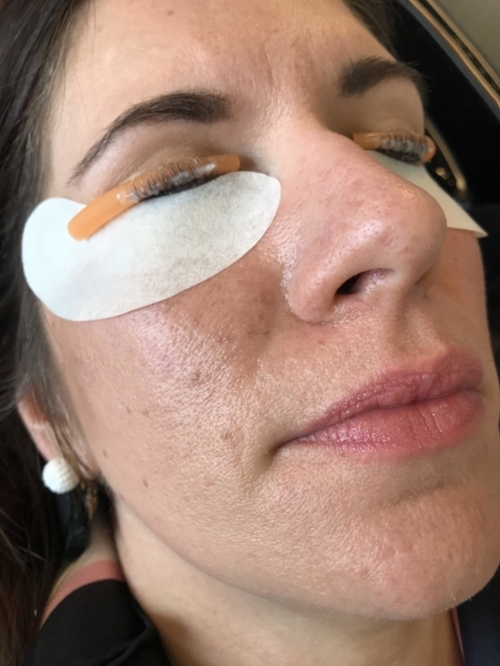 If your brows are over tweezed or not to your liking, I will put you in brow rehab and work with you on the regrowth and maintenance to achieve that natural full brow. How often should I have my brows groomed? I typically recommend once a month but it really depends on each client and where they are in their groom maintenance. What are your favorite products to use for brows and lashes? For brows, I love the products from Anastasia Beverly Hills for brows, her brow wiz and powder. For lashes, I’m a big fan of L'oreal Lash Paradise mascara (non-waterproof). It’s super important to change out your mascara every 3 months to prevent eye irritations. I’m really excited about some new products coming out that will compliment the lash lift and promote growth. Ask me for more information! Thank you so much Dana Morgan for sponsoring this post. Dana uses the Elleebana One Shot Lash Lift product. Click here if you’d like to book an appointment with Dana. All opinions shared are my own.